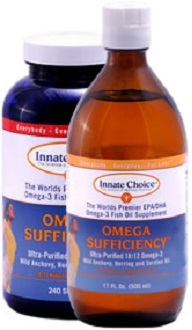 This Omega Sufficiency review examines the claims by the manufacturer that this product is the best, containing the highest amount of key elements of Omega-3 the body needs to remain healthy. 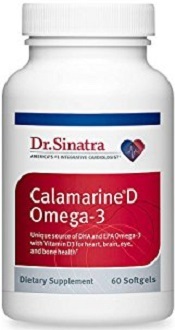 Amongst the benefits stated by the manufacturer, are that Omega 3 can help prevent illnesses such as arthritis, heart disease, ADD, cancer, stroke, depression, diabetes, obesity, high blood pressure, eczema, Alzheimer’s disease, and learning and cognitive development issues. The levels of eicosapentaenoic acid and docosahexaenoic acid seem acceptable, although our research found other suppliers offering levels of 800 mg EPA and 600 mg DHA. These are substances known to offer many health benefits, ranging from thinning the blood to protecting the heart, and preventing a stroke and helping with brain-function development. The suggested dosage, as stated by the manufacturer, is that half a teaspoon of the liquid, or two (2) capsules be taken per 40 pounds of body weight, children included. If the liquid formula is used, the bottle should be shaken well before each use. After opening, the bottle should be stored in the refrigerator. The capsules do not need to be stored in the refrigerator; however, they should be stored out of direct sunlight. This product is available online directly from the manufacturer’s E-commerce site. This product is sold in three different varieties. Firstly, a lemon-flavored 500 ml bottle offering 100 serving per bottle costs $60.00. The second choice is the same lemon flavor, but in capsule form. 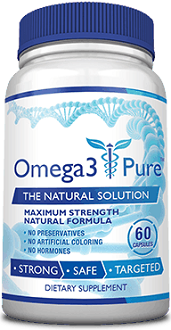 The capsule option offers 240 capsules, which is 60 servings per bottle. Purchase price is $55.00. The third choice is strawberry-and-lime flavored capsules: 240 capsules delivering 60 servings per bottle at $55.00. No discounts are offered on any of the above-mentioned options. If you buy two or more bottles, you can get 10% off every additional item. The manufacturer does offer a money-back guarantee. The terms of this policy are that the unwanted items should be returned within 30 days in an unopened condition. The manufacturer takes no liability for the shipping fee (if outside of the US further duties and taxes may be added); and will deduct $15 per bottle and $20 per case as the restocking fee on all returned goods. Most important, all returns should be approved by the company before the return is executed. 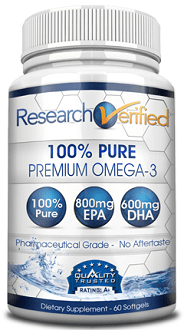 This Omega-3 fatty acid supplement has some good points, but there are also some problems. Firstly, there is a money-back guarantee on these products, and there is a choice of either liquid or capsule format. The problem is that the guarantee policy does not allow a trial of the product before returning it, should it not deliver. The costs incurred in returning the product may mean that you receive merely a fraction back of the purchase price. There is no discount given on these products. The 10% discount applies only to purchases made in addition to purchase of two of these products.